They call her the Red Queen, but she’s about as black-hearted as monarchs come, and she’s got the hair to match. I guess the “Red” is, like, a blood thing? Practice bellowing your best, “Off with their heads!” before you put on this Red Queen Black Bob Wig. Then practice your most regal walk and your croquet stroke (with a set of living flamingo croquet mallets––sorry, our legal department said we can’t sell you those), and you’re all set! 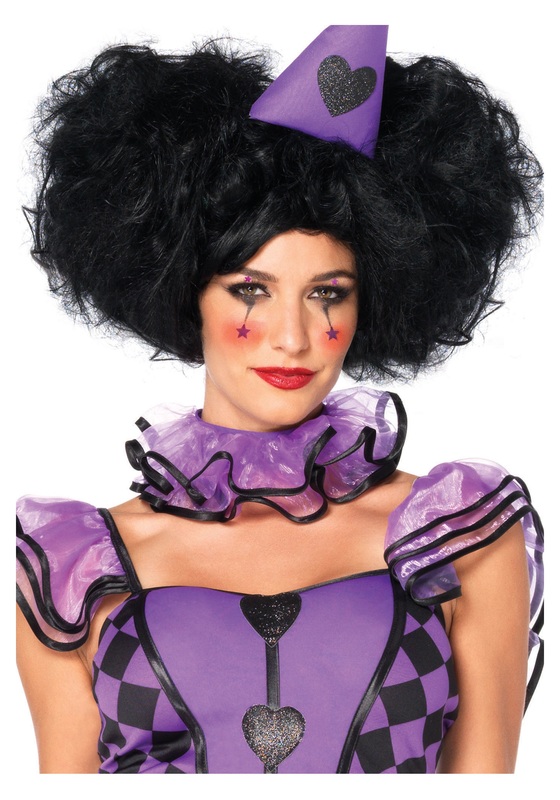 You’ll be ready for tea with the Mad Hatter, the Cheshire Cat and some drugged-up caterpillar in this Elizabethan-style wig. Or to break the festivities up and have someone executed, anyway. This Red Queen Black Bob Wig is made from 100 percent olefin hair, with a adjustable mesh cap to protect your real hairdo as best as possible and keep your regal wig securely in place. Each side puff is mounted on a plastic claw clip, so you can wear one, both, or neither. We find the asymmetrical look is perfect for someone really fashion-forward or someone possibly unstable people will avoid, depending on what you wear with it!